Personal Loans for Salaried Individuals: Are you eligible? Are you planning a dream vacation abroad? Do you wish to renovate your house but falling short of funds? Thinking to pursue higher studies, but your finances restrict you. Looking to have a perfect wedding but scared of the high cost. Whatever may be your need, a personal loan is a perfect solution to cater to a wide variety of your financial needs. It’s a convenient and handy financial instrument to overcome the different monetary hurdles that come your way. You can easily manage your finances well through a whole range of quick personal loan options including flexi personal loans. So, if you are a salaried person, you definitely have something to cheer about. Further, gone are the days, when getting a personal loan seemed to be a cumbersome process. Presently, the loan application and disbursal process is quite simple. You can easily apply online and enjoy faster disbursal, flexible tenors and attractive interest rates with lesser EMIs. However, you are required to meet certain eligibility conditions to avail a personal loan and enjoy its benefits. Let’s emphasize on the crucial points that are essential for a salaried individual primarily. See whether you are eligible for a personal loan, if not how you can become so. If you have a stable job and a good credit background, your loan approval is just few minutes away. Age criteria: 25 years to 58 years. Employed with Public or Private Ltd. Company, MNC. Your monthly income should be more than Rs.27,000 for Tier II cities and more than Rs.37,000 for Tier I cities. You must be a residing citizen of India. ALSO READ Applying for Personal Loan: Check Eligibility,Documents & Apply online! The age and income criteria might vary for different lending institutions. You can check your eligibility through online eligibility calculators available. Next, keep all the necessary documents ready. You are now a step closer to get your personal loan approved. Salary slips: For a specified period, usually previous 3-6 months’ salary slips are required. Bank statement of your Salary account: For a specified period 3-6 month generally. These are the most important documents that you need to keep handy while applying for a personal loan. However, you may have to submit few additional documents during loan processing, if required. 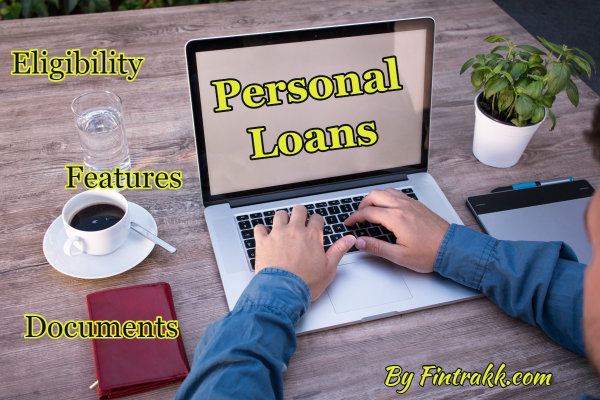 Once you submit all the documents and comply with all the terms and conditions of the lending bank or NBFC, you can easily get the requisite personal loan based on your individual profile. While analyzing the personal loan option for a salaried person, Flexi personal loan surely deserves a mention here. Higher EMIs result in significant outflow from your pocket every month. This is a major point of concern for any salaried employee. But, there’s nothing to worry when you have the instant flexi personal loan facility to meet your diversified financial obligations. A flexi personal loan gives access to a pre-approved loan amount along with the advantage of multiple withdrawals without any additional documentation. You are charged interest only on the amount utilized and not on the entire approved loan amount which reduces your EMI. For example, if you utilize Rs.5 lakh out of the total approved amount of Rs.13 lakh, then interest will be charged only on Rs.5 lakh. ALSO READ What Makes Loans for Start Ups an Excellent Option? You can further reduce your EMIs by opting for the flexi interest only variant wherein you can opt to pay only interest as your EMI. The principal can be repaid at the end of the loan tenor. These are collateral free loans where the lender won’t ask you for a collateral or a guarantor. You can withdraw requisite funds as and when you need them and pay interest only on the amount utilized. A personal loan is therefore a viable option to address to a variety of your individual needs. They are a complete answer to all your financial queries and thereby instrumental in making your dreams come true. As a salaried person, the next time you think to avail a personal loan, keep these useful points in mind and then go ahead. Look for the best deal at a low interest rate to get the maximum benefit out of your personal loan. Don’t forget to consider the new-age flexi loans and add flexibility to your personal life! Build a good credit score, repay any prevailing EMIs on timely basis before applying for any kind of new loan. This shall ensure quick and instant approvals in future. You may also like: Flexi Business Loans: A Smart way to Manage Your Business! So what are you waiting for? If you feel the necessity to apply for a personal loan, then think, analyse, decide and go for it. Do share your valuable experiences regarding usage and convenience of having a personal loan. Hi, Very nice article! Keep up the good work. Wonderful!! Thank you for posting informative blog. Your posts are quite interesting and informative. « Current and Upcoming IPOs in India: Latest list!